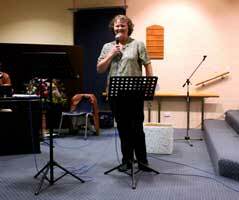 Guest speaker, women's retreat. 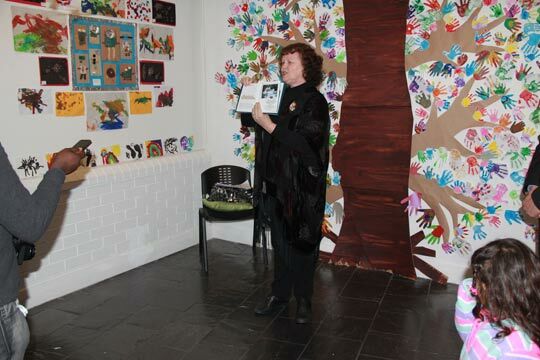 Jennifer also also shared about the symbolism in her illustrated visual poem "A song in the land of As," and read it. 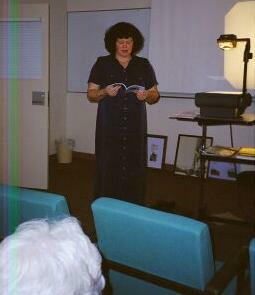 Sharing her poems at the GCWA and St. Margaret's Church in Nerang. 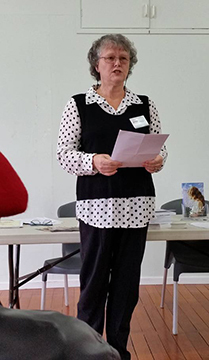 19.8.2015 Jennifer shared a poem at the Gold Coast Writers Association AGM. 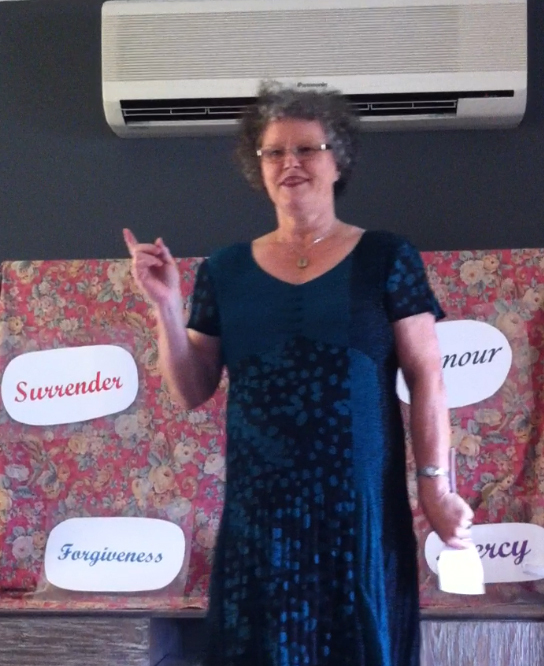 19.7.2014 Jennifer shared three poems at the Poetry In Paradise Gold Coast meeting. 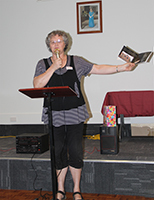 21.9.2013 Jennifer joined the Gold Coast Writers Association and shared three poems from my latest book at the AGM during their open mike session. 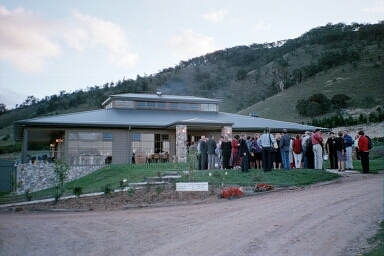 13.6.12. 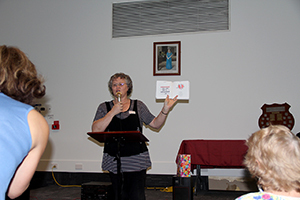 Jennifer shared one of the visual poems from her latest poetry book, when she opened the BSC "Roots of Belonging" art exhibiiton in Belconnen for the Belconnen Community Services. 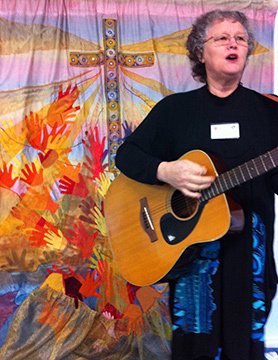 10.6.2012 Jennifer sang and showed her visual poem "One In Unison" at St. James Church in Holt, ACT. 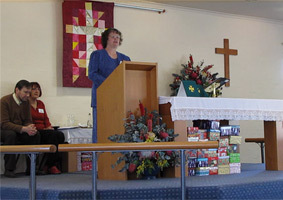 29.10.2011 Sharing her poem "Jonah" at St. James Church in Holt, ACT. 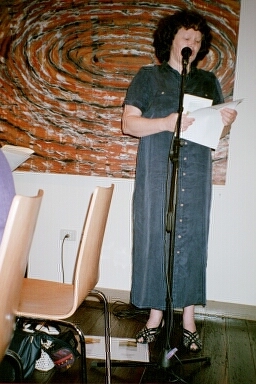 8.10.2011. 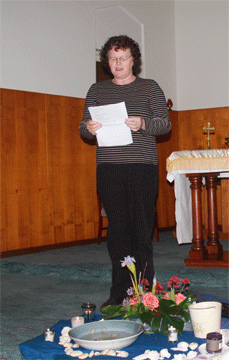 Jenifer shared her poem "Are You Thirsty" at the St. James Ladies retreat in Galong. 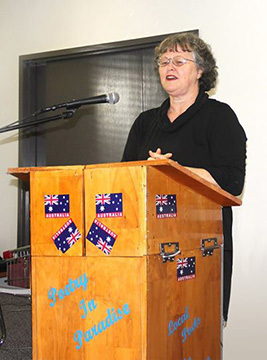 In 2010 Jennifer was asked to share one of her poems at St. James Anglican Chruch in Canberra. 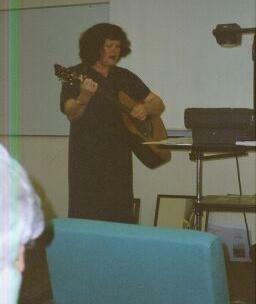 It can be viewed on Youtube. 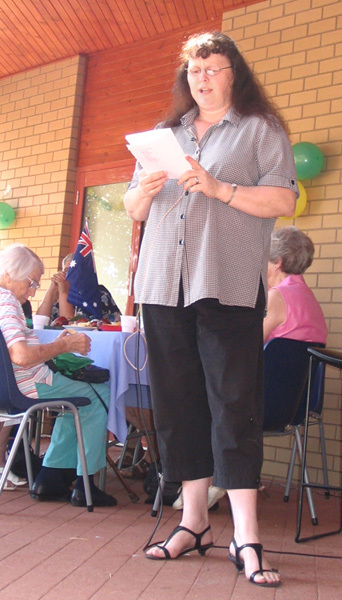 2006 - Jennifer Phillips giving a poetry reading to celebrate Australia Day. 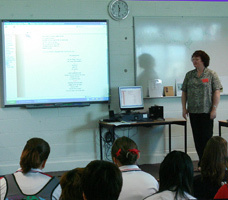 2005 - Jennifer was a presenter at the CEGACT conference (Topic: animation) and also displayed her Digital Art in the CTL cafeteria. 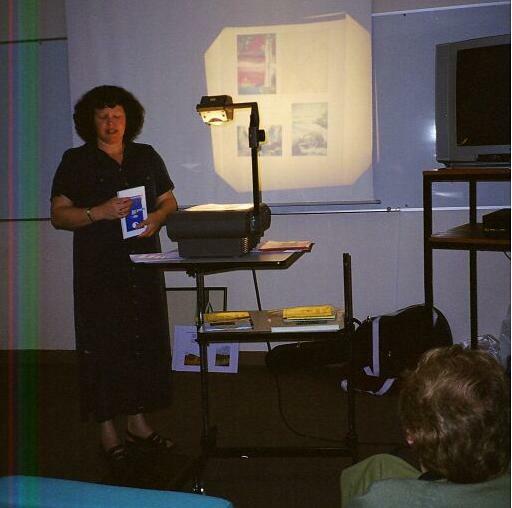 She sold her first piece of digital Art at the conference. 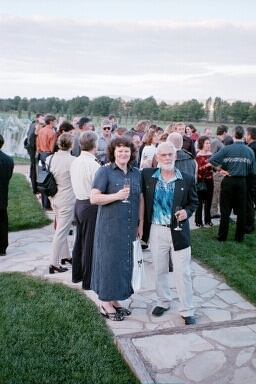 2002 - Phillips was also the guest poet at a New Zealand Wine evening in Canberra in April. 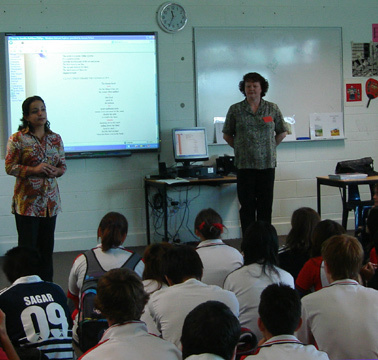 She shared her poetry with 103 guests.She was also invited to share her poetry journey with a class of Canberra College students.